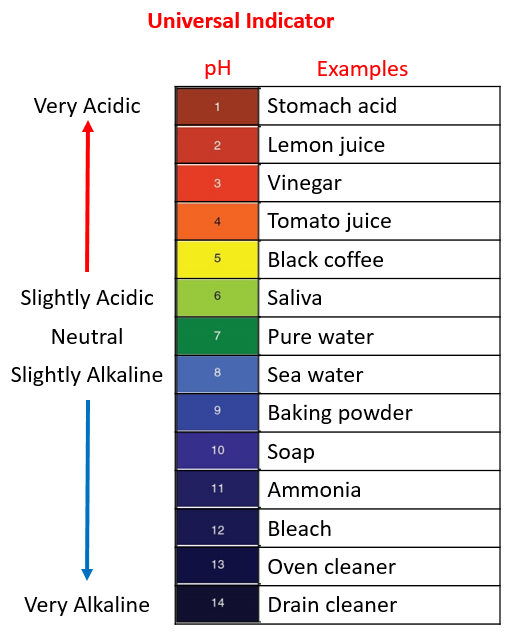 The following table shows the colour change of the pH indicator for different types of substances. 1. Place a small amount of different solutions in separate tubes. 2. Label the test tubes to ensure you know which solution is present in each tube. 3. Add a few drops of universal indicator solution to each tube and note the pH. 4. List the solutions in order of increasing pH. Alkalis are bitter and slippery.